CHENNAI: India's 40th communication satellite GSAT-31 was successfully put into orbit by an Ariane 5 rocket belonging to Arianespace on early Wednesday, said Indian space agency ISRO and Arianespace. 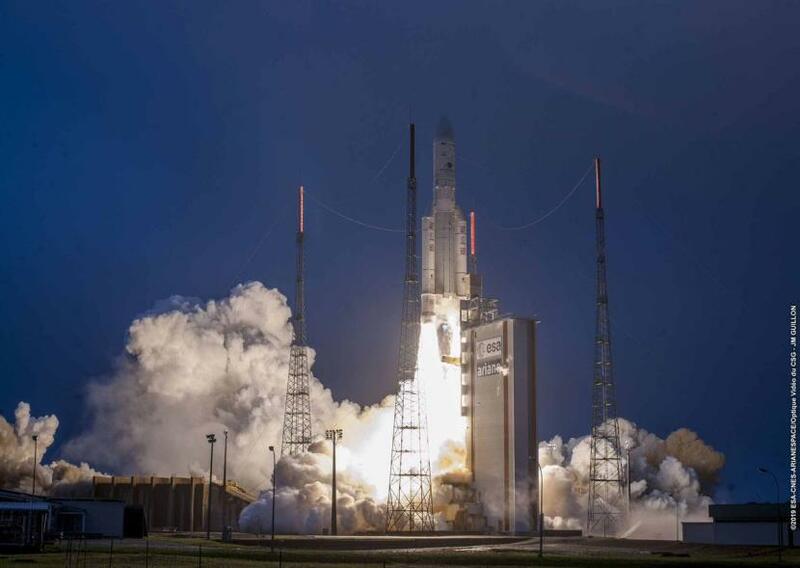 According to the Indian Space Research Organisation (ISRO), the telecommunication satellite, GSAT-31 was successfully launched on February 06, 2019 from Kourou launch base, French Guiana by Ariane-5. Arianespace CEO Stephane IsraAl confirmed the success in post-launch comments from the spaceport's control room. "For the first Ariane 5 launch of the year, our heavyweight vehicle has once more performed flawlessly," he was quoted as saying in a statement. He added: "Arianespace is honored ISRO has entrusted Ariane 5 for two launches back-to-back, with the last Ariane 5 of 2018 launching GSAT-11, and today the first one of the year 2019, which orbited GSAT-31!"